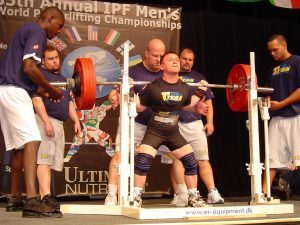 My first trip to America took place in 2005, the trip was for the world championship powerlifting Federation IPF, known all over the world the city of Miami. 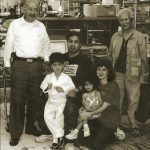 The trip was very exciting, because it had to defend the world title for the tenth time in his career, and I wanted to see and touch the American way of life. Arriving in Moscow, was poisoned in the delegation of the Russian team at the American Embassy in Moscow, was surprisingly full rigor and at the same time polite and cultured appeal to any of us. Having received the approval for the visa, was very happy and exciting. Next was the troublesome fees of a trip, had to fly more than 10 hours to the US, we flew through the city of Atlanta. And finally, it’s official, I’m part of a national team of Russia on powerlifting, sitting in the plane, with his friends on the team and coaching staff and we’re flying in the United States. Waiting time the plane landed. Finally, we flew over the ocean and sat in the airport in Atlanta and went to the front Desk for domestic flights to the city of Miami.